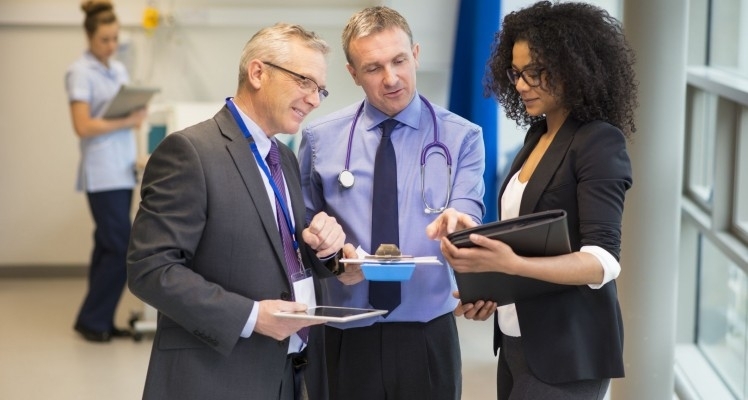 All the leadership team at this global pharmaceutical firm heard from the field was that the sales force didn’t understand and didn’t like the incentive comp (IC) plans. While it’s normal for reps to be less than thrilled by their IC plan, this tenured group was particularly unhappy. The market for their product was emerging – only in their third year of promoting these compounds – and the competitive products were significantly less expensive, although accompanied by significantly lower efficacy. To complicate matters, the challenges facing each territory varied dramatically. In some territories, state insurance coverage was high and adoption (opt-in) by corporate employers was high. In other markets, state coverage was high but corporate adoption was low; and in other territories, coverage was low and adoption was even worse. The division president commissioned us to investigate the source of the trouble and report back to her and her leadership team with recommendations. We conducted individual interviews with each member of the leadership team (both in the US and abroad), 3 focus groups with more than 15 reps and field managers in each, and more than 30 individual interviews with reps, district and regional managers. As we approached the end of the interviews, the dull lens of perceptions was replaced with clarity. We realized the heart of the issue was not the plans themselves. Inconsistent and conflicting messages from senior leaders formed the core of the irritation with the field. The field sales force informed us that some leaders were inspiring reps with a call to the pioneer spirit and to grow the business wherever opportunity could be found. Other leaders strictly promoted going after pre-identified high-potential opportunities. And other leaders simply wanted reps to meet their numbers any way they could. More than simply a communication issue, this communication inconsistency undermined trust in leadership and demoralized reps across the entire spectrum of performance. The heart of every IC plan is to drive the reps beyond their comfort zones to contribute to the extremely aggressive growth numbers the parent company was asking of them. As the number one goal of IC, the plan needed to insure a positive impact on the reps. Flexibility needed to be central to the design, as well. In order to accommodate the variation in markets/territories – we broke them down into 4 general groups – the IC plan needed to allow for rep choice and management discretion. To complicate the situation, these components sat atop of foundation of poor trust and, as initially stated, poor communication. Also, research from Ran Kivetz, PhD and Itamar Simonson, PhD confirmed what we’ve seen in the working world for some time: the best plans engage the maximum number of reps with idiosyncratic fit, that feeling you get when the plan looks like something that you can really take advantage of. The design also needed to include flexibility for the unique context that each rep was in and tackle the trust issue as well. The solution was built on these principles: the plan itself and how it was finalized. The plan itself needed to accommodate a couple of key elements. First, we recommended segmenting the IC plan into two unequal parts: a large portion of the reward based on total volume and a small portion of the reward based on business-building initiatives agree upon by regional management. This combination accounted for both the business-building pioneer spirit that was espoused by some leaders, but still focused the plan (and the reps’ efforts) on meeting volume objectives. Second, we recommended boosters/kickers for new business that was acquired through high-potential targets. The high-potential targets could have been included as a gate or a requirement for earning any bonus, but we wanted to focus on the carrot more than the stick. In emerging markets, carrots are typically more effective than sticks when it comes to helping reps focus and rewarding them for growth. The plan was finalized at an IC Summit that we facilitated and included informal and formal leaders from the field, as well as the leadership team. We began with a summary of the diagnosis (findings) and insured that everyone agreed on the objectives of the plan and the business: to grow this nascent division with double-digit year-over-year improvement. Nearly 50 people took part in the session, with everyone in the same room for a full day to hammer out the details with every key stakeholder present. The results were that the trust issue melted away, the formal and informal field leadership was satisfied their voices were heard and the new plan was immediately implemented through a clear formal communication plan.